Journaling is the key ingredient that turns our scrapbook pages from a decorative photo album to a memory-keeping keepsake. Sometimes, even though we may know it, we get so caught up in everything that life throws at us that we don’t take the necessary time for this essential step. A quick and simple solution to this journaling dilemma is to incorporate lists in your memory keeping. Lists can be a fun way to include stories and details of stories that otherwise might get left out or would take too long to write out in paragraph form. Take a look at the following examples we came up with. How many of us create lists of things that we want to get done, either during a season or maybe even a lifetime? These bucket lists are such a big part of who we are and why we may have some really cool and unique photos later. These kinds of things from our story tend to not be told and eventually get lost over time. Imagine how special a list like this would be for your children and grandchildren to have of you, or even for you to look back on in later years. There are several approaches to scrapping a bucket list. You can start with your list, before you begin checking things off, like we did here in our example. If you choose to include photos, you can find stock photos online or photos you already have that somehow relate to your list. You can also go the other way and scrapbook your bucket list as you accomplish it. This second way you will probably have more photos of you actually doing what is on your list, but it won’t include your whole list with all the things you hope to eventually do (and in reality, we don’t always accomplish everything on our lists exactly how we think we will, so there’s that to consider, too). Our second example doesn’t include photos at all! Yep, we went there (and you should, too, on occasion 🙂 ). 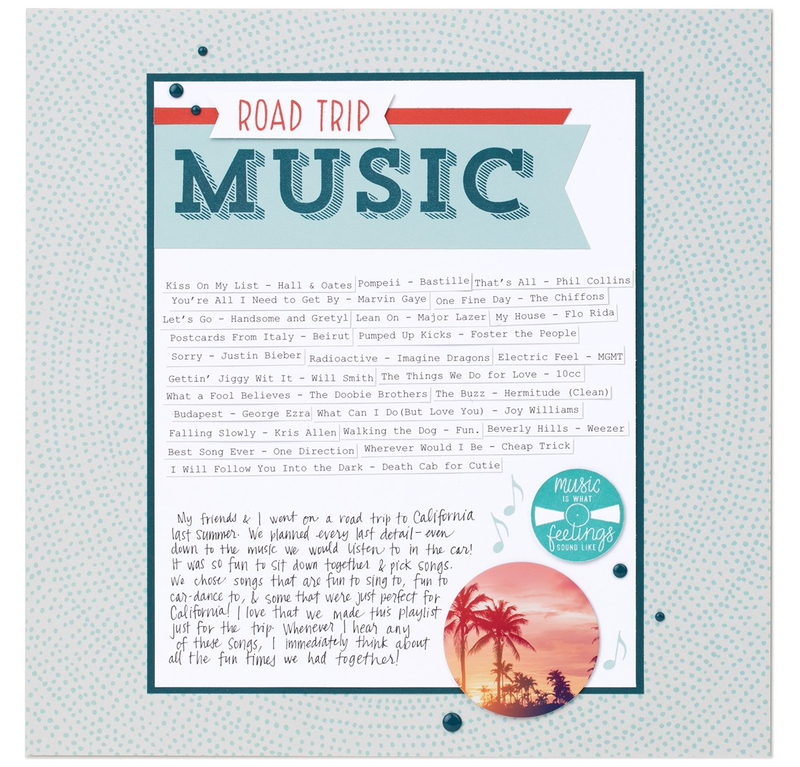 Including a page like this one in a road trip or family vacation album, for example, will add so much of your actual personality and will also give the reader (including future you!) 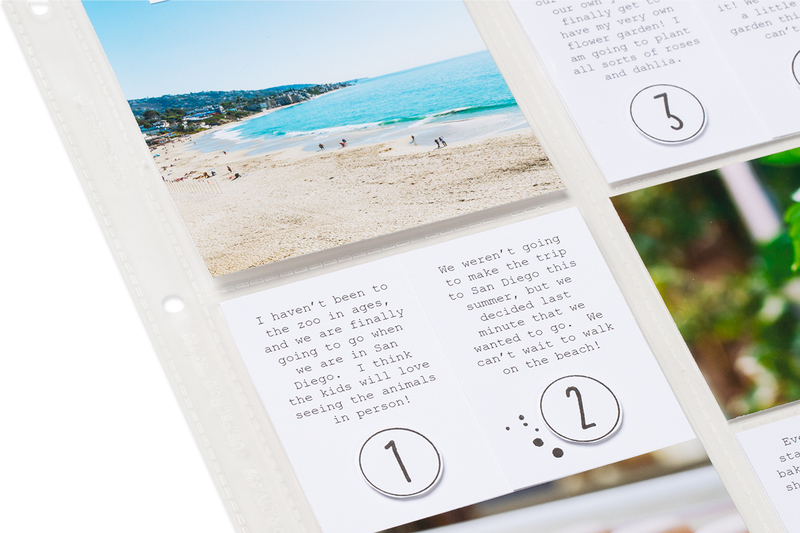 a glimpse into your world at the time of the event you’re scrapbooking about. List journaling really is so simple and effective! 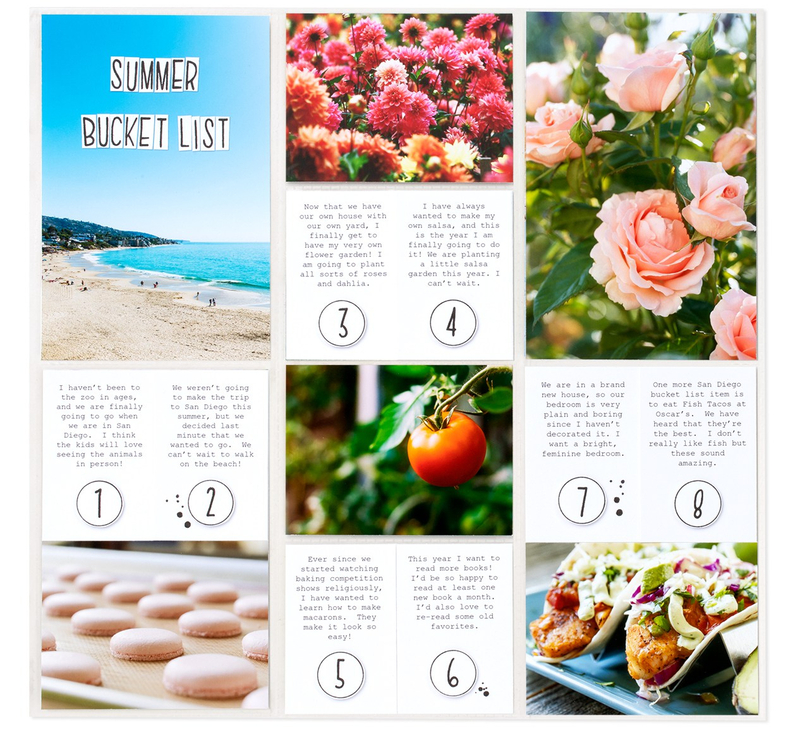 You can include so much detail and information that would otherwise get left out, and quite possibly eventually forgotten, by organizing it all in a list and adding it to your memory keeping albums.